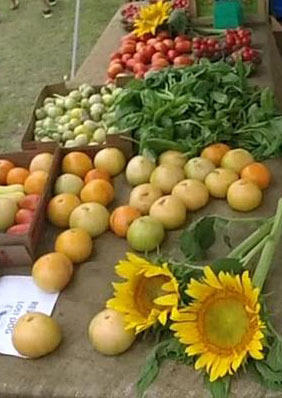 Brad Schaffer's Fresh LowCal Produce Farm in Charleston County is harvesting local, low calorie, Lowcountry produce at a low price while avoiding pesticides and hebicides while growing heirloom variatals. 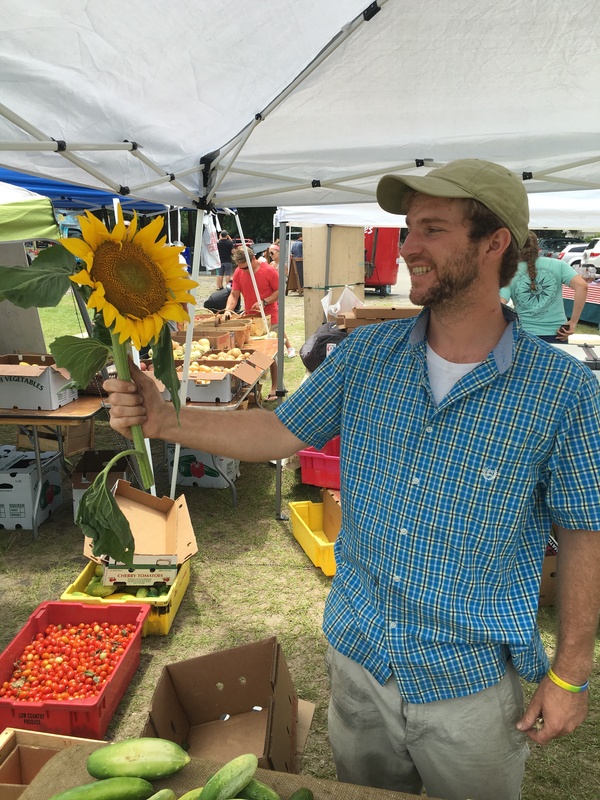 I met Brad Schaffer of Fresh Lowcal Produce at the Johns Island Farmers Marker recently and he told me about the great local vegetables and herbs he is producing on Johns and Wadmalaw Islands in South Carolina. Brad calls his business Fresh “Lowcal” Produce, obviously a play on the words “local” and “low calorie” but he also says, “like Lowcountry and low price.” His goal was to bring to market great Carolina produce that was grown organically and as much as possible to grow heirloom varietals. 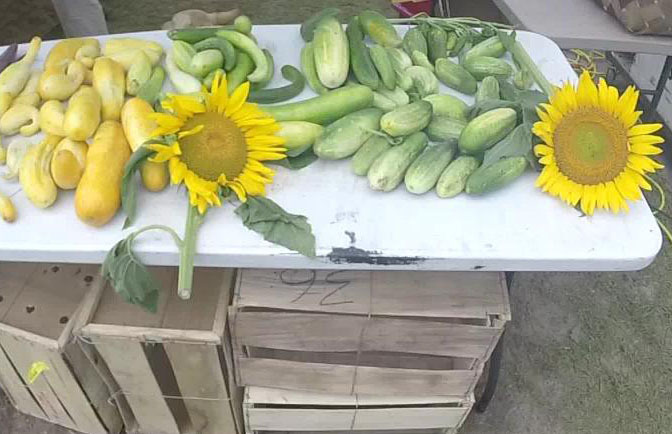 When I visited Schaffer he was selling vegetables such as heirloom tomatoes, yellow squash, and cucumbers. He also had a pile of beautiful, fresh sweet basil and sunflowers as well. When I asked Brad about his farming techniques he said he uses, “no pesticides, no herbicides” and try to cultivate produce that grow best in the Lowcountry. Schaffer said since its summer, “the focus is tomatoes, peppers and okra, and other hot weather produce.” Brad has a unique way of charging for his produce. It is either by the individual piece or $10 for a vegetable box top of what ever fits which is defiantly more affordable that a grocery store and much more flavorful. As far as the colder months, Brad said, “moving into the winter, there’s a greenhouse where were going to try to do some offseason produce.” You know you have someone that is dedicated to their craft when despite a large risk, they still try to produce the products. I have used Fresh Lowcal Produce in dishes at home and I highly recommend Brad’s produce. 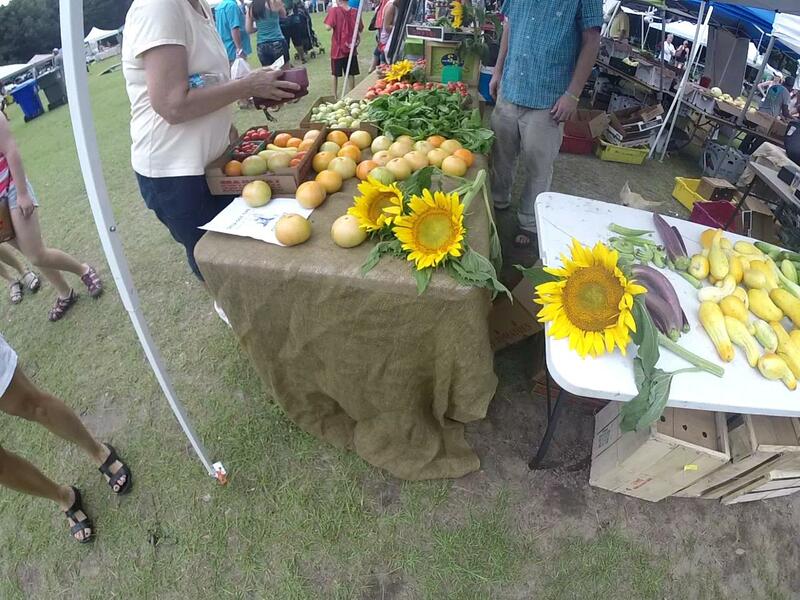 You can find These great herbs and vegetables on Saturdays at the Johns Island Farmers Market, You can find recipes and other articles about Fresh Lowcal Produce below as well as links to the Fresh Lowcal Produce Facebook page.